Carol, co-founder of Land Studio pc, has over 19 years’ experience in planning, landscape architecture, and project management. She is responsible for the management of a wide range of projects, which include coordinating the work of project teams and managing the budget and schedule. Carol understands the inner workings of public agencies, as over half of her professional career has been with the public sector. As such, she is uniquely capable of assisting municipalities plan, design, and implement desired improvements. Her diversified experience includes community planning, site design/development, and construction oversight. Carol enjoys working closely with clients and citizens in the planning and designing of their communities. 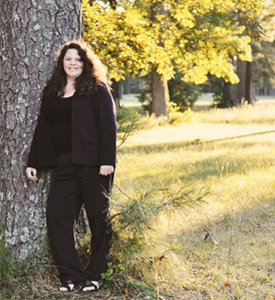 She has a passion for the natural environment and her background also includes natural resource planning and environmental restoration efforts. Her belief in engaging the public in discovery and discussions about their community facilitates sustainable solutions and empowers citizens.